Single Sign-on (SSO) One-click access for users. One-point control for admins. Akku’s SSO functionality facilitates a streamlined workflow with easy one-click access and powerful one-point control. With a secure, consistent SSO login experience, give your users a universal login flow experience across all applications. 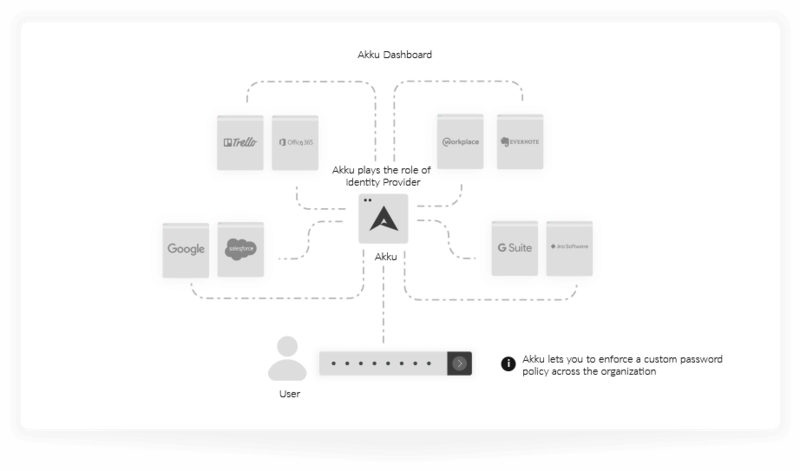 Identity management becomes easy, as users can simply access all work-related applications through Akku with a single set of login credentials. Through automated login using Akku’s single sign-on, users can switch between different applications without having to login to each application individually. This saves your users time as well as the effort needed to remember multiple passwords, enabling higher productivity. 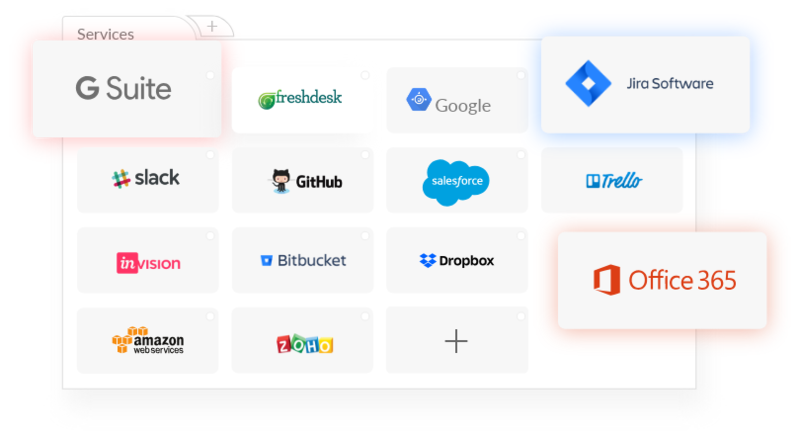 Akku provides a simple way for your administrators to manage user accounts, credentials, provisioning and permissions. Without an effective identity and access management solution, admins would need to login to multiple applications in order to provide or revoke user permissions. The centralized Akku dashboard acts as a common platform for all of your organization’s applications. Both cloud identity and access management and on-premise identity and access management can be undertaken in a matter of a few clicks, enabling administrators to configure and integrate any connection, whether cloud-based or on-prem. Through Akku’s SSO, duplicate accounts across various applications can be easily identified and consolidated. Administrators can also access advanced analytics and logs for personalized targeting, user support and growth, audit, debugging and continuous improvement.